The exact amounts will vary according to age, profession and the victim's position in life. "We were told it could be between $170,000 (Sh17 million-Sh25 million) and $250,000 depending on age, profession and so on. It should be done within 18 months," Nzioka told the Sunday Nation. The Montreal Convention stipulates compensation arises only if a passenger's injury or death is caused by an unexpected or unusual event or happening that is external to the passenger. 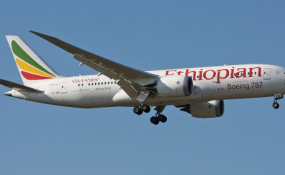 Ethiopian Airlines has offered the relatives of the 157 victims of last Sunday's Boeing 737 Max plane crash bags of sand earth to bury in place of their loved ones. This is after the forensic expert said no bodies were retrieved from the scene of the crash.